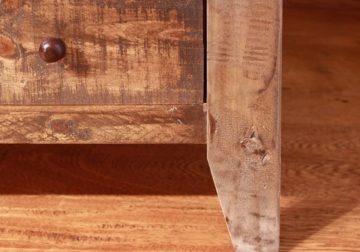 Update a hallway or the space behind a sofa with this accent table. 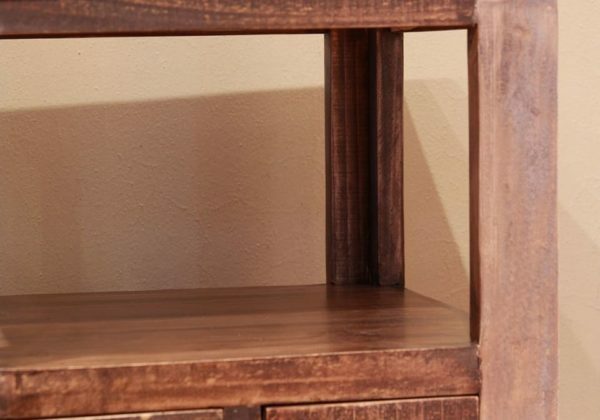 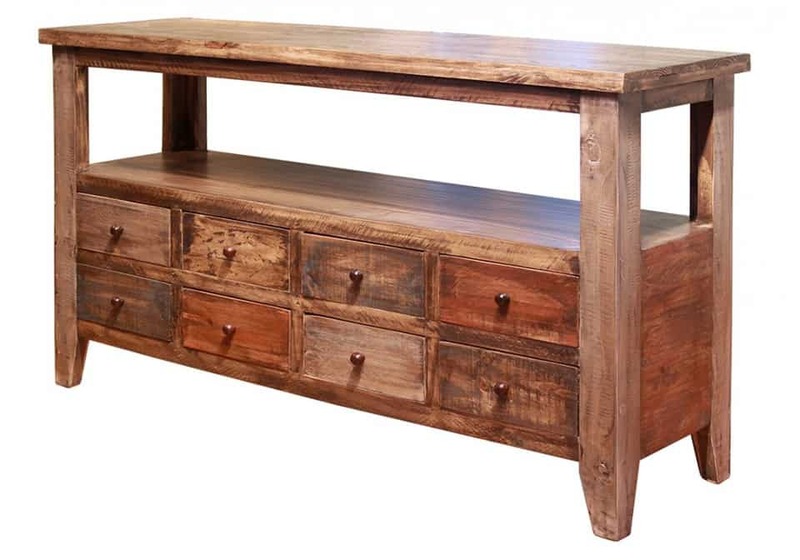 This sofa table has eight drawers and an open shelf area which makes organizing small items or displaying decor easy. 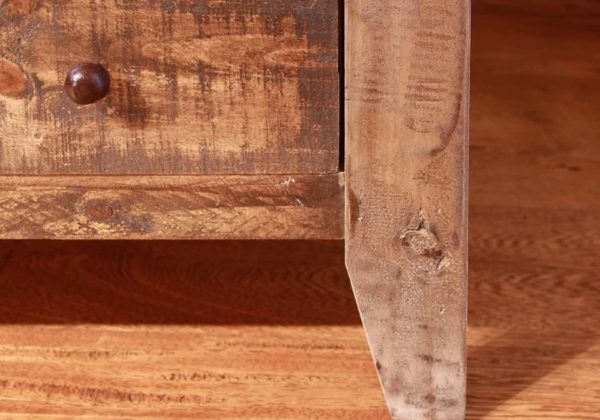 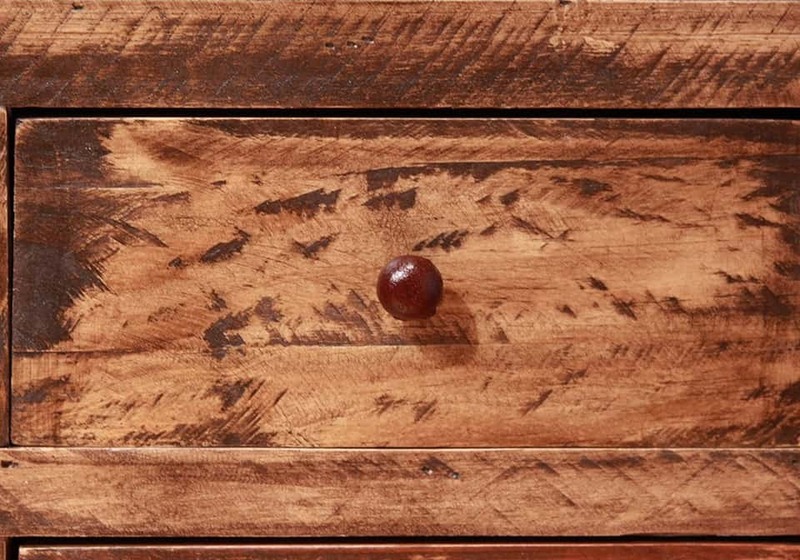 A multi-color antiqued finish is shown off on this piece making it a fun addition to your home.